PDQ rentals is a full service equipment company. If you choose to purchase your equipment from us we will be there to support you after the sale. Our factory trained technicians are capable of removing and replacing an engine, rebuilding a hydraulic pump, replacing boom sections on a telehandler, or just about any job you challenge us with. 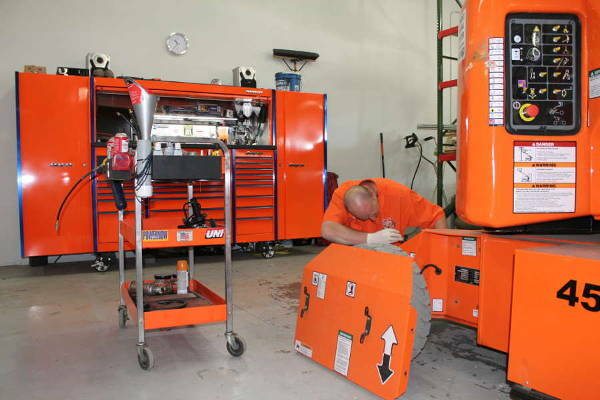 We can support you with over 40 technicians from our 3 locations and service trucks to be on the job when you need us. Our service department has the software and training on almost every major manufacturer for the brands we carry if a computer issue arises. We will service, maintain, and repair many of our dealership brands and will always support any of our equipment after the sale. Safety is a very important aspect for our employees and you! 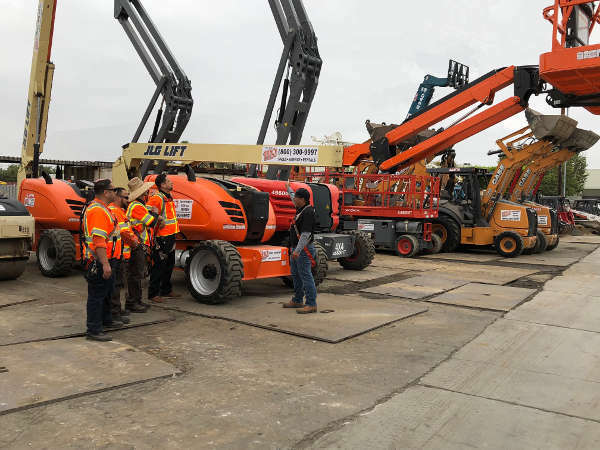 We offer OSHA certified training on telehandlers, forklifts, boom lifts, scissors lifts, and can familiarize you with many other types of equipment. Our trainer has decades of experience from our manufacturers, OSHA, and jobsites to help instill safety in you and your team. We provide hands-on training, classroom knowledge, and have the proper tools to help keep you operating equipment safely! 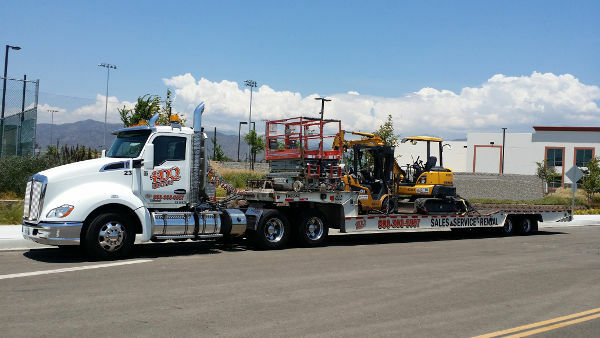 Our transportation department offers lowbed services for your equipment and includes over 30 trucks and is capable of supporting you during every process in the job with equipment. All of our trucks are GPS tracked to ensure punctuality and accurate information with our professional and trained driver. We run late model trucks to comply with California’s stringent environmental policies to minimize our environmental footprint.